Sure it passed. 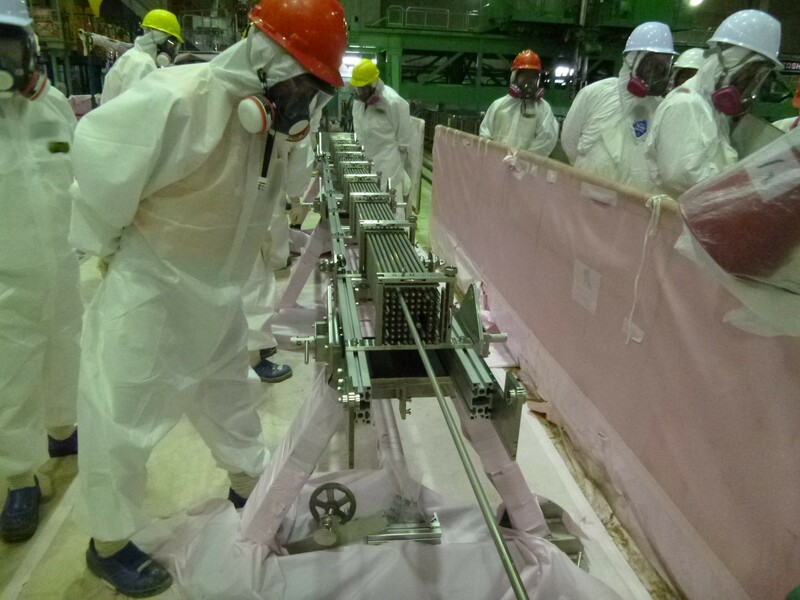 The detection limit was 25 becquerels/kg, testing done in 5 to 10 seconds at most using brand-new detectors built specifically for the task of rapidly "measuring" the radioactive cesium in rice grown in Fukushima Prefecture. Never mind the details like that. Shoppers in Edogawa-ku, Tokyo (itself in the more contaminated section of Tokyo) are happy to snap up this year's fresh crop. New crop of rice harvested in Fukushima Prefecture this year started on September 1 at "Fukushima Market", a shop to test selling the Fukushima produce in Edogawa-ku, Tokyo. Fukushima Prefecture has started testing all bags of rice for radioactive materials since August, and this was the first sale of the rice that passed the test outside Fukushima. 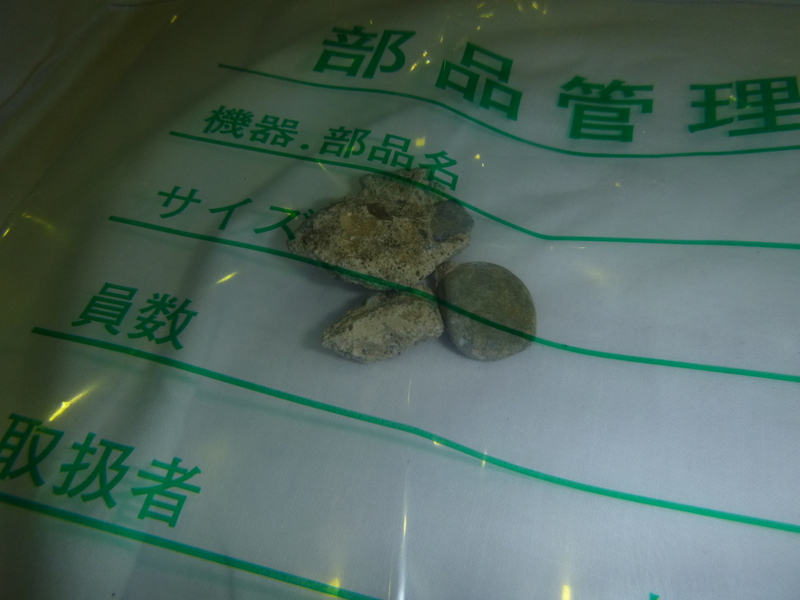 Bags of rice from Motomiya City and from Aizubange-machi, both of which tested below the detection limit (25 becquerels/kg) were put on sale. Shoppers were sampling at a sampling corner of the store, and seen purchasing [the rice] together with the peaches from Fukushima. Mr. Takao Okamoto (age 45), an office worker who lives in Edogawa-ku, was visiting the shop with his family of four. He [said] he had been a fan of Fukushima rice even before the March 11, 2011 disaster. He said, "[The rice] tastes great this year, too. They test the rice, so I bought without any worries at all." but TEPCO's Matsumoto says they flushed the pipes and will see what happens. For the initial report on the subject, go to my previous post. Amount of water into the reactors at Fukushima I Nuke Plant dropping - foreign objects clogging up the pipes? After the amount of water being injected into Reactors 1, 2, and 3's Reactor Pressure Vessels at Fukushima I Nuclear Power Plant had temporarily dropped below the level specified in the safety regulations, TEPCO announced on August 31 that the company flushed the pipes by temporarily increasing the amount of water as it was possible that foreign objects had clogged up the pipes. TEPCO will wait and see if the amount of water injected into the RPVs recovers before deciding whether the second flushing is necessary. Since there is no leak from the pipe and the pumps are working normally, TEPCO thinks that the valves that control and adjust the flow of water inside the pipes are clogged up, preventing the flow. According to TEPCO's Junichi Matsumoto, "There is no conclusive evidence to narrow down the possible causes, and it is unknown whether the flow will recover." TEPCO is an incurious bunch, but then, it is an utility company who only knew how to run a functioning nuclear power plant. People who hastily rigged up the water treatment/injection system at Fukushima I Nuke Plant are from the 1st-tier contractors (Toshiba, Hitachi, Mitsubishi, Kajima, Kandenko, etc. ), but they are not talking. The national government has effectively taken over the company, but so far has done nothing when it comes to dealing with the plant. This tweet says "92 protests in 44 prefectures throughout Japan", with the link to a site that lists them all. Most will likely be small, but who cares. I took a look at IWJ's Aomori1 channel. A middle-aged man is making a speech on a street corner. People keep passing by. There are a few others who are with him. So? I'm watching. So are 34 others somewhere in the world. Yasumi Iwakami's IWJ staff/volunteers will be at many of these locations to netcast live. If they are not there, someone else will use his/her smartphone and do it, I'm sure. Oh yes, Friday's full moon is a blue moon. He (the right one in the photo) will make an excellent successor to Prime Minister Noda, I can tell right now. The same boy-wonder said he would like to have the younger generation to experience rolling blackout, right before he flipped (yet again) to pro-nuclear and pro-restart of Ooi Nuclear Power Plant. Now that Ooi has restarted, he is flipped (again) to "anti-nuclear" because that's what will get him and his party the votes in the coming national election. The dictatorial boy-wonder mayor of Osaka held the first and the last (or so he intends) meeting to explain things to unruly residents of Osaka City that they will have to accept potential radiation contamination from the disaster debris burning because... because... he says so. I don't think Osaka residents take this meekly. Osaka City held a townhall meeting for the city's residents on August 30 at the central city hall (in Kita-ku, Osaka) to explain about the acceptance of disaster debris from the March 11, 2011 disaster. In the contentious meeting with angry residents opposing the plan shouting, Mayor Toru Hashimoto emphasized the safety and asked for understanding. The city held three meetings in June and July only for residents in Konohana-ku, where the disaster debris will be [burned and] buried. But the August 30 meeting was the first for all residents in the city. About 420 residents attended the meeting. In the meeting, city officials emphasized that the radiation exposure [from burning disaster debris] would be lower than that of background radiation exposure, but people opposing the acceptance of the debris inside and outside the hall shouted "We don't want radiation", "Hashimoto, resign", in a tense exchange. Mayor Hashimoto, unable to hide his irritation, said, "The city policy is not decided by your opinions", "Citizens several times more than you here are in favor". At one point, several men rushed toward the mayor on the podium, and were stopped by the policemen. A housewife (age 59) from Chuo-ku in Osaka City said excitedly, "They didn't explain to my satisfaction. It's a foregone conclusion, and I don't know why they bothered to hold a meeting." The city plans to conduct the test burn in November, and start accepting the debris from Iwate Prefecture in February next year. In the current fiscal year [that ends in March 31, 2013], about 6,100 tonnes will be disposed [burned and buried], and 30,000 tonnes will be disposed in the fiscal 2013. I hear from Osaka City residents that umbrellas and bottled water were banned from the meeting. Mayor Hashimoto scurried off from the stage after the incident, according to the media reports. Osaka residents on Twitter say they are not surprised at the mayor's behavior. The prefectural government in Iwate freely admits that they can totally take care of the debris within Iwate, but since Osaka City insists, they cannot say no. I don't quite understand why not. Konohana-ku has a landfill that features a huge incineration plant designed by a famous Austrian anti-nuclear architect Friedensreich Hundertwasser. If he were alive, I wonder what he would think; whether he'd be happy with the prospect of disaster debris that has been contaminated with radioactive materials out of Fukushima I Nuclear Power Plant being burned at the plant he designed. I still remember the angry residents of Kyoto City in front of the JR Kyoto Station, shouting down Goshi Hosono, "Go back! Go Back to where you belong! ", when Mr. Hosono and his entourage tried to convince what a wonderful thing it would be to help Tohoku people if only Kyoto residents allowed the burning of the debris in their midst. I hope Osaka people will outdo the Kyoto residents. They look like aggregates in concrete. How did they get inside the channel box? Inspection was carried out in the Spent Fuel Common Pool building. The amount of treated water being constantly injected into the Reactor Pressure Vessels of Reactors 1, 2 and 3 has fluctuated often for no reason that TEPCO cares to identify, but on August 30 that amount temporarily dropped below the levels specified by the NISA's safety regulations. Cause is still unknown, but unlike in the past, TEPCO's Matsumoto says the company will conduct investigation to identify the cause. If you want to check the temperature readings of the RPVs, here's TEPCO's page (English). TEPCO announced on August 30 that the amount of water injected into the Reactors 1, 2 and 3 at Fukushima I Nuclear Power Plant temporarily dropped below the amount specified in the safety regulation as the amount necessary for cooling the reactors. The amount dropped in the afternoon of August 30, and though it recovered after adjusting the valves [that control the flow] it dropped again in the evening. As of 10:30PM on August 30, the amount necessary for cooling is maintained. There are no changes in temperature of the Reactor Pressure Vessels. It is possible that the water injection pumps (there are two) have some problems, and TEPCO will start the backup pump[s] to investigate the cause. According to TEPCO, an employee who was watching the amount of water injected noticed the drop at 3PM on August 30. Normally, 4.9 tonnes/hour of water is injected into Reactor 1, and 7.0 tonnes/hour of water into Reactors 2 and 3. However, [at 3PM on August 30], the amount for Reactor 1 dropped to 4.0 tonnes/hour, for Reactor 2 to 5.5 tonnes/hour, and for Reactor 3 to 5.6 tonnes, which were below the minimum necessary amount [as specified in the safety regulations] to cool the reactors by 0.3 to 0.6 tonnes[/hour]. TEPCO adjusted the valves to bring the amount back up to the normal levels. However, the amount of water being injected continued to fluctuate, and at 8PM it dropped below the required amount again. It recovered by 10:30PM after valve adjustment. The amount of water into Reactors 1, 2 and 3 has dropped in the past. 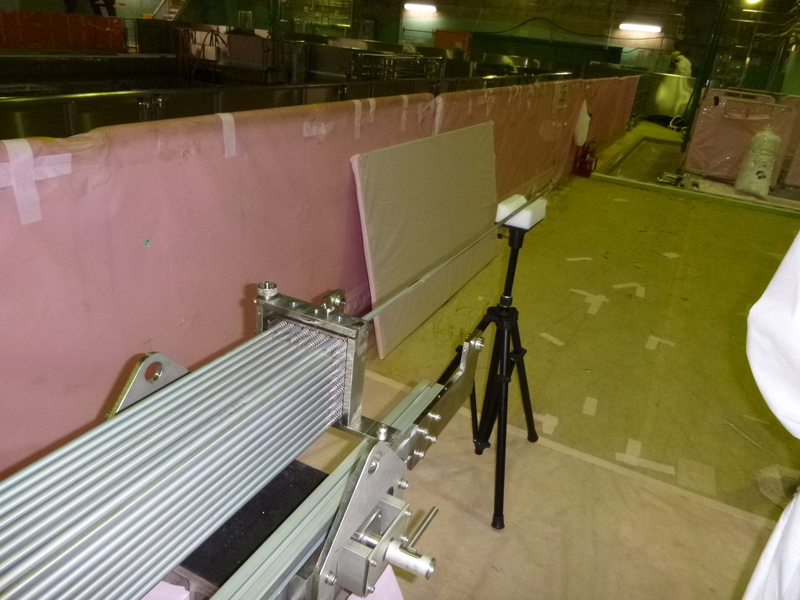 In each occasion, TEPCO adjusted the valves to maintain the flow. But it was the first time on August 30 that the amount dropped below the required amount. TEPCO says no leaks have been found. TEPCO's Junichi Matsumoto says, "It is the most important system for cooling the reactors, and we would like to carefully investigate the cause of sudden drop in the amount of water." People in Fukushima, Tochigi, Saitama, Tokyo, Kanagawa where the radioactive plume went by, should not marry because the deformity rate of their offspring will skyrocket. Tough. They misquoted me on purpose, I was just talking generalities. Generalities. So these days in Japan, citing specific locales and predicting specific events like deformity of babies is talking generalities. Fukushima City Assemblymen including Mr. Kazuyoshi Sato held a press conference on August 29, and announced that they would demand the correction of the remark by Mr. Hobun Ikeya, head of a public interest incorporated foundation called "Ecosystem Conservation Society of Japan" during the lecture in July on the effect of the Fukushima I Nuclear Power Plant accident as "inappropriate and discriminatory, and cannot be tolerated". According to Assemblyman Sato and others, Mr. Ikeha said in the lecture, "You'd better not marry anyone from Fukushima", and "Cancer rate may rise in Fukushima, and deformed babies may be born". According to the explanation by the Society and the recording that our reporter listened to, Mr. Ikeya also mentioned several prefectures in Kanto region that have had certain levels of radiation contamination because of the nuclear accident. He pointed out to the map of the region, and said, "People who live in the areas where the radioactive plume went by should avoid marrying at all costs." He further said "If they marry and have children, the rate of deformity in babies will skyrocket." Mr. Ikeya responded to Asahi Shinbun and explained, "I wanted to emphasize the heightened risk of DNA damage and deformed babies due to radiation exposure. I discussed generalities, and had no intention of discrimination." The lecture was sponsored by the Ecosystem Conservation Society of Japan and held in Tokyo on July 9. Assemblypersons from municipalities throughout Japan participated, and four assemblymen including Mr. Sato from the Fukushima City Assembly participated. Regarding the remarks that have been condemned as inappropriate by Mr. Hobun Ikeya (age 70) of the Ecosystem Conservation Society of Japan in a lecture in Tokyo, Mr. Ikeya released part of the transcript of the lecture to the press on August 29. According to the transcript, he said, "It's not just Fukushima, you know, people in Tochigi, Saitama, Tokyo, Kanagawa, people who were there should not marry at all costs", and "If they get married and have children, the rate of deformity in babies will skyrocket." According to the Society, the document is a transcript from the recording, and it has been sent to news organizations in Fukushima Prefecture. To Fukushima Minpo, Mr. Ikeya admitted that he had made these remarks, and argued, "I don't think it's discriminatory against people in Fukushima." As to his insistence in the past that he hadn't said anything like that, he answered, "I meant I hadn't said anything discriminatory." Mr. Ikeya is a practicing veterinarian. The "Policy" lecture has been given once a year or so since 2003, and it was the 12th this year. 80 to 100 politicians from municipalities and citizens who aspire to become politicians participate. Last year's lecture was canceled due to the March 11 disaster, and this year's lecture was the first since the disaster. Accusation that Mr. Ikeya is discriminating against Fukushima is not really true, as Mr. Ikeya is saying the same for four other prefectures in Kanto. Well at least Mr. Ikeya is a veterinarian, remotely qualified (I suppose) to comment on something medical. The only (human) medical experts who expressed outrage are so-called "government experts" (including Professor Noboru Takamura of Nagasaki University and Fukushima Prefecture Radiation Health Risk Management Advisor who spoke soothing words to Iitate-mura villagers right after the accident, and Professor Masahiro Fukushi of Tokyo Metropolitan University who measured radiation levels in meals with faulty germanium semiconductor detector for NHK program), which is taken by many net citizens on Twitter to mean Mr. Ikeya must be telling the truth. Never mind that Mr. Ikeya's expertise is with sick animals. The Japanese government and government institutions and its experts have only themselves to blame for the deep distrust of anything that has to do with the government for an off-hand remark by a veterinarian to be taken seriously as the truth. The Japanese media (members of Japan Press Club) can still view the video of TEPCO's teleconferences in the early days of the nuclear accident that TEPCO was willing to disclose (about 50 hours worth of video), and here's the latest from Tokyo Shinbun. According to the newspaper, one of the reasons why TEPCO workers couldn't inject water to cool the reactor core, or open the vent line to release the pressure inside the Reactor Pressure Vessels in Reactors 2 and 3 much sooner was because the rupture disks didn't break because the set pressure was too high. Why was the set pressure too high? Because the Japanese engineers were afraid of radioactive leak from the Primary Containment Vessels and wanted avoid the leak at all costs, says the paper quoting a nuclear researcher. Much like TEPCO allegedly welded shut the blowout panels in each reactor building at Fukushima I Nuke Plant, except for Reactor 2. It was found in the teleconference video of TEPCO that the bad design of the safety equipment installed along the vent pipe delayed the response when they tried to vent in order to inject water into the reactors in the early stage of the Fukushima I Nuclear Power Plant accident in March last year. It can be said that the safety equipment designed to contain radiation ended up worsening the accident. During the accident, the equipment to inject water at a high pressure failed in both Reactor 2 and Reactor 3. TEPCO tried to inject water using fire engines, but had difficulty doing so due to high pressure inside the reactor (Pressure Vessel). In order to lower the pressure, they needed to open the SR valve to release [the pressure inside the Reactor Pressure Vessel) into the Containment Vessel, and at the same time do the vent. However, the rupture disk - a stainless-steel disk installed in the vent pipe - hindered the vent. The rupture disk plugs the pipe, and it is designed not to break unless it is under certain pressure. The purpose is to prevent the leak of radioactive materials when the vent valve is accidentally opened. However, the disk's set pressure was too high, and even when they wanted to lower the reactor pressure and vent so that they could inject water as soon as possible, the disk didn't break, delaying the response and causing the overheating of the nuclear fuel. The teleconferencing video shows the frustrated staff at the plant. "Reactor core may be damaged before the vent can be done" (5AM on March 13, regarding Reactor 3), and "We're waiting for the rupture disk to open" (10PM on March 14, regarding Reactor 2). Koichi Miyata, Manager of TEPCO Nuclear Safety Group, reflects, "The hardest time was when we couldn't vent when we wanted to." As one of the lessons learned from the accident, the Nuclear and Industrial Safety Agency under the Ministry of Economy, Trade and Industry is of the opinion that a revision is necessary so that the rupture disk doesn't get in the way of venting. The agency is to ask the [soon-to-be-created] Nuclear Regulatory Commission to devise countermeasures. Professor Tadashi Narabayashi of Hokkaido University (nuclear engineering) says, "Some European countries have systems to bypass the rupture disks so that the vent can be carried out even when the rupture disks don't break. So far, Japan has been caught in the trap of "no leak [of radioactive materials] from the Containment Vessel", which is reflected in the design". According to the report by the Fukushima Accident Independent Investigation Commission set up by the Cabinet Office, the set pressure of the rupture disk was "0.528MPa　abs" for Reactor 2. The same NISA and Professor Narabayashi (one of the three "Plutonium Brothers") were last heard together in December last year, when NISA officials admitted to the possibility that the very act of venting may have caused the hydrogen explosions in Reactor 1 and Reactor 3. Further, a Tokyo University researcher (Katsumi Shozugawa) indicated in his paper (link is in Japanese; see the chart in the post) published earlier this year (online in January, published in paper in April) that it may have been the dry vent (= vent directly from the Containment Vessel, without going through the Suppression Chamber) of Reactor 2 on March 15 that released the huge amount of radioactive materials in the surrounding environment, not the explosions of Reactors 1 and 3. To be sure, the wide-area contamination of Kanto region is supposed to have happened on March 20 - 22, 2011, with the rain. At that time, Reactor 3 building was smouldering, uncontrolled, white smoke then black smoke seen issuing from the wrecked operating floor. But if Reactor 3 building exploded because of the vent, the possibility of which NISA admits, it would be indeed man-made contamination as Hayakawa says. You can continue to operate a nuclear reactor even if the reactor happens to sit on top of an active fault, as long as the expected size of dislocation is small enough. This Kyodo News has the largest number of retweets I've seen on the websites of the Japanese mainstream media, currently with 9,015 retweets. It was revealed on August 28 that the Nuclear and Industrial Safety Agency under the Ministry of Economy, Trade and Industry was considering the introduction of a new safety evaluation standard that would leave a possibility of continued operation of a nuclear reactor even when the reactor sits on top of a fault that could shift the ground, instead of uniformly banning the operation of such reactors. So far, the NISA's opinion has been that "a nuclear reactor cannot be built on top of an active fault". Under the [proposed] new standard, it is expected that the continued operation will become possible for reactors that sit on top of certain faults which may be active faults, as long as the shifting of the ground is small enough and there is no effect on the reactor buildings. There are many issues still to be resolved, as NISA admits that the method to precisely evaluate the size of the shifting is not yet perfect. In the meantime, the prime minister who seeks the "fourth way" further elaborated on his stance. According to Jiji Tsushin (8/28/2012), Mr. Noda had a casual dinner in Tokyo with the DPJ's newbies (and apparently open to the press), where he told them and the press that he couldn't commit easily to "zero nuclear" because of national security concerns. What a country. Wonder of the Orient. Just remember that this country (Japan) is still the third largest economy in the world. But after more than 17 months since the earthquake/tsunami/nuclear accident, hardly anyone cares that these people are still living in school classrooms. It's worse than not caring, because now they will charge for the bento (meal in a box), which will cost these elderly residents 30,000 to 40,000 yen per person per month (US$381 to 508 per person per month). Where do they have such money? No one cares. The evacuees from the same town, Futaba-machi, who have moved to temporary housing and other rental properties, have complained that they are not getting free meals, so everyone gotta pay, to be fair. Starting September, the evacuees staying in the school building of former Kisai High School in Kazo City in Saitama Prefecture will have to pay for the bento meals that they receive. The reason why the town has decided to charge for bento was the strong demand for equality from the town residents who have already left the school building and live on their own. However, the residents who still remain in the school building are resentful of the new charge. The conflict between the residents could be the result of the extended stay in the shelter for nearly one and a half year, with inadequate support for self-reliance and recovery. The Kisai High School shelter is the last remaining public shelter opened after the March 11, 2011 disaster. About 210 residents live there, and bento meals are provided free of charge under the Disaster Relief Act. [About these free meals,] there has been a silent resentment against this "special treatment" from the town's residents who have moved to temporary housing and rental houses and live on their own [and who have to pay for their own food]. Starting September 1, a bento distributor in Kazu City will sell bento meals for 1,100 to 1,250 yen [US$14 to 16] per three meals per day. It will cost 30,000 to 40,000 yen [US$381 to 508] per person per month. On the night of August 21, about 70 evacuees at the school gathered together talked. According to people who participated, most were against paying for the meals. There was an elderly man who lamented, "So, if I cannot pay for the bento, that means they are telling me to just die." In fact, most of the evacuees who remain in the shelter are over 65 years old, and some need medical assistance. On the other hand, there are residents at the shelter who say "We cannot go on living like this." According to the Ministry of Health and Labor, the school remains a public shelter even after the town starts to charge for bento meals. Under the Disaster Relief Act, emergency shelters are to be opened for 7 days. It will be 1 year and 5 months since the shelter was opened at the school, well beyond the initial expectation. The Ministry official says, "We don't think it's right to have these people in the shelter for such a long time. We would like to consult with Fukushima Prefecture so that the residents can move to houses and facilities where they can live comfortably." This is a country where they charge the workers in Fukushima I Nuclear Power Plant for their meals. So charging the old residents who have nowhere else to go for their meager bento boxes to achieve fairness is just what you expect. What a joke. Totally predictable but joke nonetheless. Remember my post about nearly 90,000 public comments from the Japanese citizens and residents about the future energy policy of the Japanese government, where nearly 90% want "zero nuclear"? Also remember the so-called experts in big-name universities whose expertise is in polling and sampling stressing the "quality" over "quantity"? There were three choices that people could comment on: 0% reliance on nuclear power by 2030, 15% reliance, or 25% reliance. Now, drum rolls please. Here comes your national government under Prime Minister Yoshihiko Noda declaring that the government may opt for the "fourth way". Regarding the 3 alternatives [presented in the national public comment solicitation] on the reliance on nuclear power, it has been revealed that the national government is considering a new alternative, without adopting any of the existing three alternatives. The government has presented the three alternatives regarding the reliance on nuclear power in 2030: "zero", "15%", "20 to 25%". However, there have been those who question "Why 2030?" in the townhall meetings, focus group discussions, and public comments. On receiving such opinions, the government may be considering not adopting any of the alternatives, but come up with a new plan to set different targets for different energy sources such as nuclear and renewable energy. The government's Energy and Environment Committee is currently having the second meeting to analyze the public opinion survey, but the experts in the committee have expressed opinions including "[public opinions] lack deep consideration". General public lacking "deep consideration". That's a new one from the arm-chair experts. You think you've been playing football. And all of a sudden the game changes, literally, and now you find yourself playing ice hockey. Why, you ask? Because the government can. All it needs to do is to declare the game change. According to some on Twitter, Prime Minister Noda, who appeared on an NHK news program on Monday night in Japan, said something to this extent: "The opinions expressed in the public comments are biased, and cannot be taken seriously. I would like to listen to the silent majority [who do not submit public comments]." I remember the general sentiment in Japan when he became the prime minister last year succeeding highly unpopular Naoto Kan - "It can't go any worse, can it?"